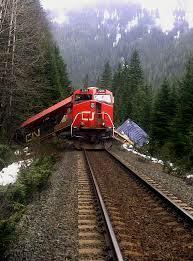 Railroaded has prepared a research paper, CN Railway Derailments, Other Accidents and Incidents, which can be found at this link. The paper will be updated on a regular basis (last updated March 12, 2015). 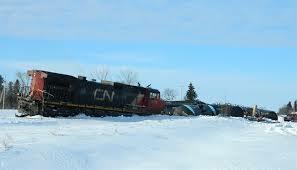 CN Railway and other railway companies are gearing up to haul more crude oil across North America. This will add significantly to not only increased traffic of rail tank cars, but also to increased numbers of rail tank car storage, crude oil loading and transloading facilities. As well, a growing volume of other dangerous goods is being transported by CN and others through cities and towns; and along rivers, streams, lakes and other wetlands. 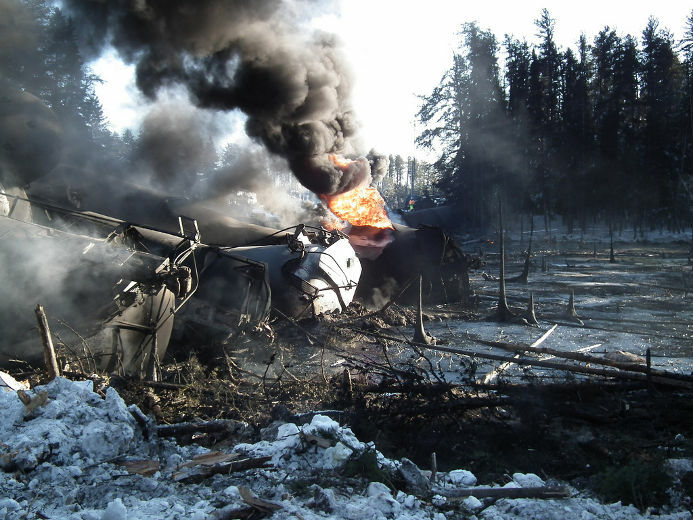 Canadians and Americans are becoming increasingly concerned about the escalation in the transport of dangerous goods by rail, especially as they hear about all the derailments, spills of dangerous goods, railway-caused fires, and other rail accidents. 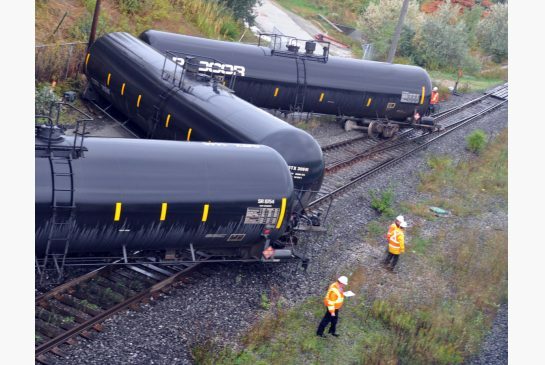 The Railway Association of Canada (RAC) indicates that 12% of all rail traffic in Canada carries dangerous goods, which heightens the fear of the hundreds of thousands of residents and businesses located near rail lines and rail yards, and raises serious concerns about the many negative environmental impacts of railway spills, fires and other accidents. 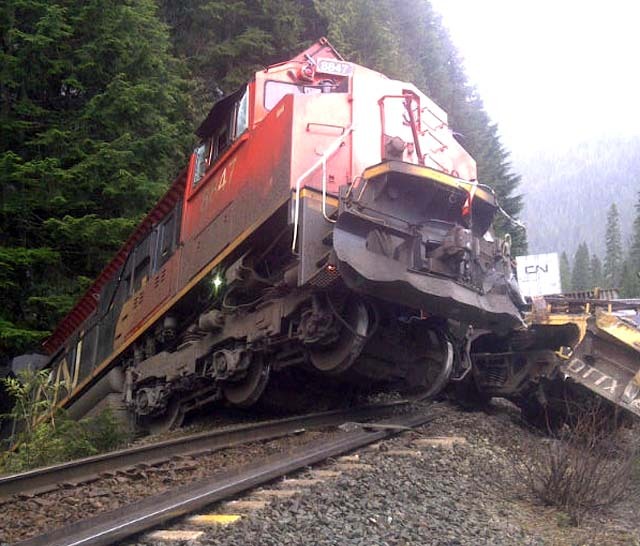 Railroaded’s research paper provides over 300 examples of CN derailments, other accidents and incidents; there are thousands of additional examples for CN. A few are investigated by the Transportation Safety Board (TSB) of Canada and the United States National Transportation Safety Board (NTSB) – most are not. 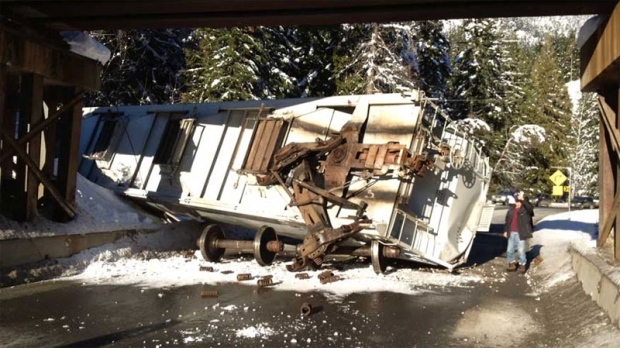 Hundreds of derailments, other accidents and incidents are intentionally not reported at all, according to the TSB, RAC and CN employees, in order to falsely improve CN’s safety and efficiency statistics. 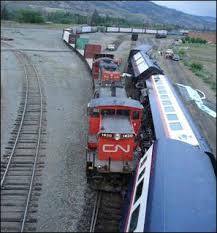 For many of the derailments that the media report based on tips from the public, CN provides very little information or sometimes misleading information, in an apparent attempt to downplay the severity of the derailments. 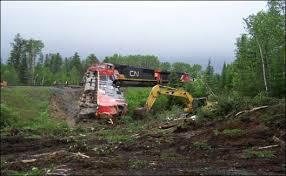 Although CN-specific data are difficult to obtain, a CN employee told Maclean’s that CN reported 487 derailments and train-on-train collisions in Canada in 2007, alone. 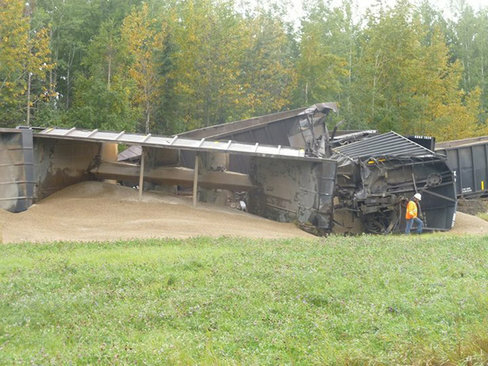 The TSB provides annual accident statistics for the Canadian rail industry, in general, and it’s possible to extrapolate CN statistics from these data. 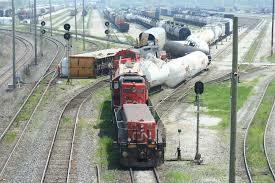 Derailments can occur almost anywhere on a rail system, but the majority occur in rail yards, other switching locations and at curves in the track. 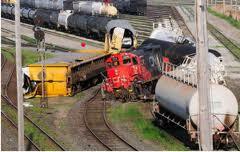 Some derailments involve collisions of 2 or more trains. 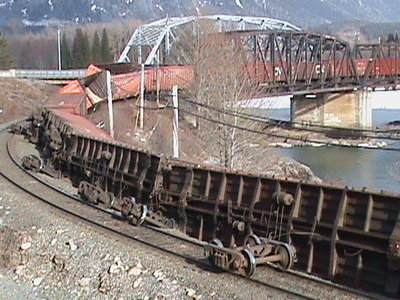 CN’s derailments have many causes including: deteriorating track infrastructure (e.g., rotten rail ties, defective rail welds, loose bolts and screws holding track in place), track warp, track realignment, deteriorating rail cars (e.g., wheel and axle failures), inferior tank car construction, use of 6- vs 4-axle locomotives in some tight curve track areas, washouts of rail subgrade, remote controlled trains in rail yards, and human errors (e.g., fatigue, brakes improperly applied causing runaways, speeding, running stop signals). 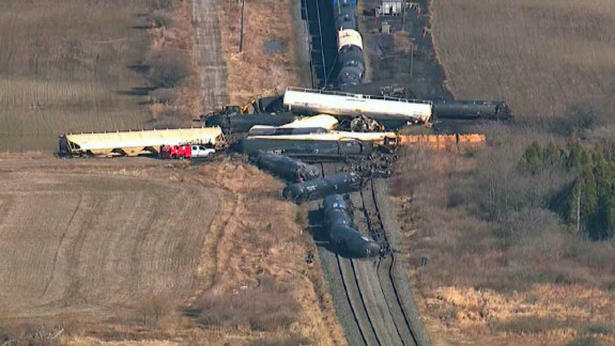 As well, the TSB has repeatedly warned CN and others about a growing number of derailments caused by too-long, too-heavy and improperly assembled trains. Longer and heavier trains may well decrease CN’s expenses and thereby increase profits, but safety is being seriously compromised as much of the track system was not meant to accommodate such heavy loads. 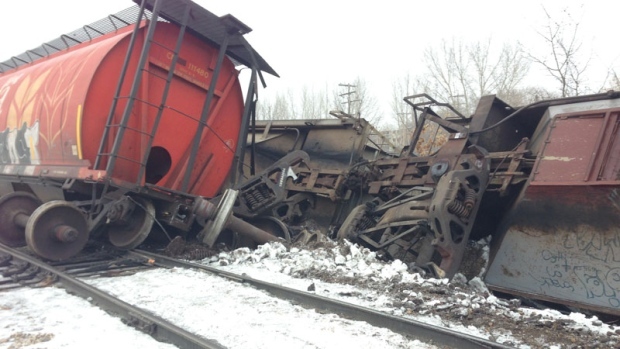 Dangerous goods tank cars loaded to their maximum capacity and trains over 2 miles long and weighing 12,000 tons are taking a serious toll on CN’s track infrastructure and resulting in increased risks of derailments. 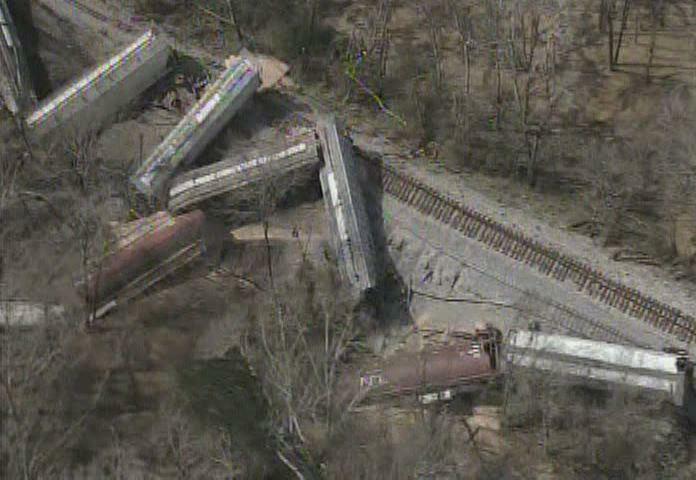 Derailments and other accidents pose a danger to the rail industry, its employees and the public; many CN and contract employees, train passengers and members of the general public have been killed and injured. 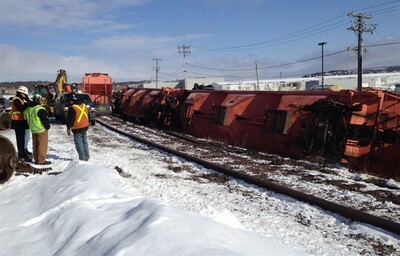 One of the more recent accidents involving Via Rail and CN (Feb. 26, 2012), resulted in the deaths of 3 Via employees and the injury of 46 passengers and crew members. 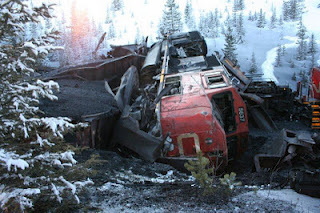 One of the worst accidents in Canadian railway history took place in Hinton, Alberta Feb. 8, 1986, when a CN freight train ran a stop signal and hit a Via Rail passenger train, killing 23 passengers and Via Rail crew members, and injuring 95 other people. 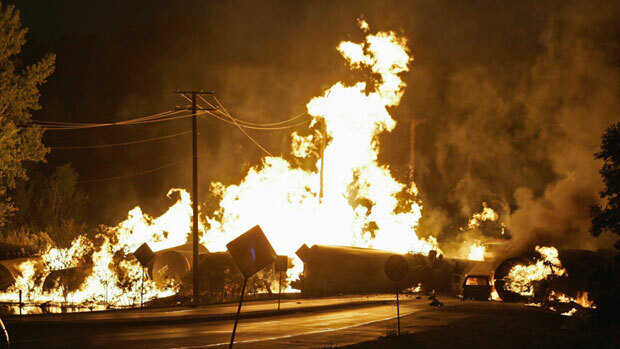 And, following many CN derailments, spills, explosions and fires, nearby residents and businesses must be evacuated for safety reasons. 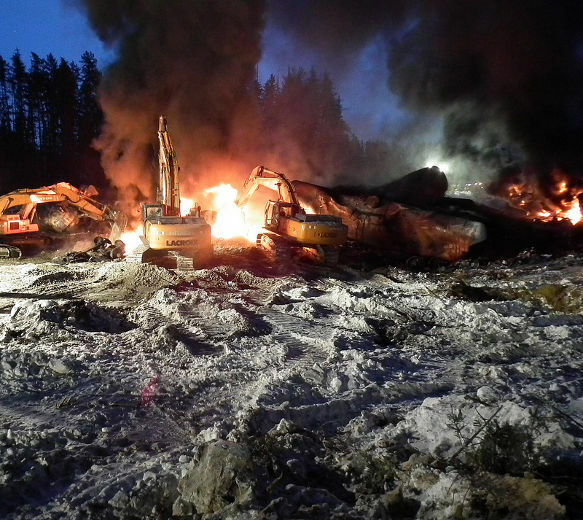 CN derailments have resulted in many spills of dangerous goods, including goods that are extremely toxic to the environment, and many that are flammable and very explosive. 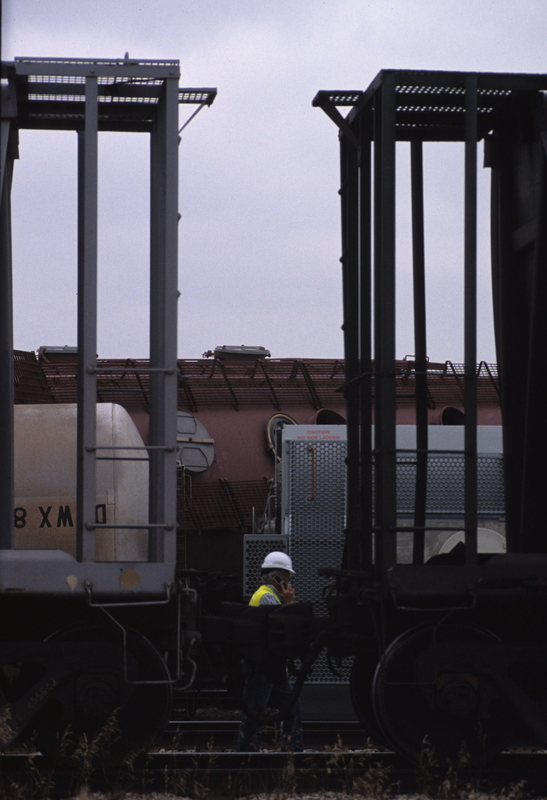 Dangerous and hazardous goods hauled by rail include crude oil, other petroleum products, acids, ethanol, methanol, vinyl chloride, formaldehyde, caustic soda, anhydrous ammonia, paint products, and many others. 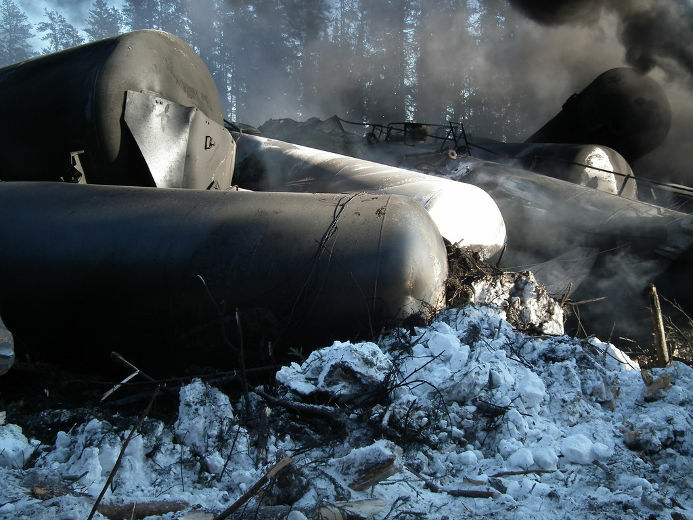 Locomotive fuel tanks rupture relatively easily during derailments, and often spill large quantities of flammable diesel fuel. 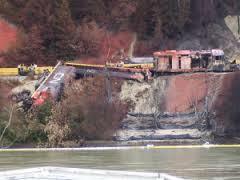 Spills vary in their impacts on human safety and the environment. Those that explode and burn often have devastating effects on human life, and those that spill into waterbodies and wetlands often have devastating effects on aquatic life. 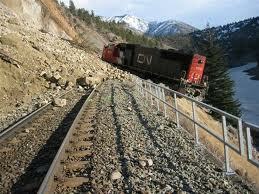 Following are just a few examples of CN spills that are cited in the research paper. 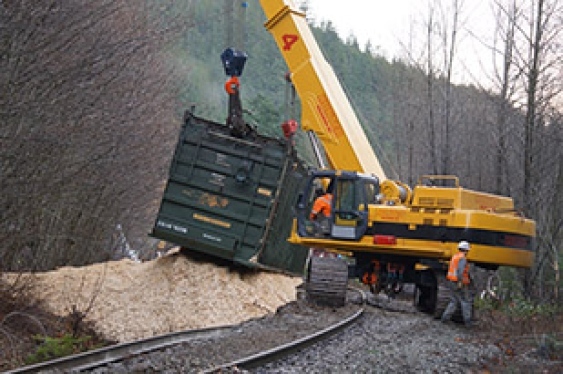 In November 2012, 5,700 litres of diesel fuel spilled onto the track and into the Squamish Estuary, British Columbia, a sensitive saltwater ecosystem. 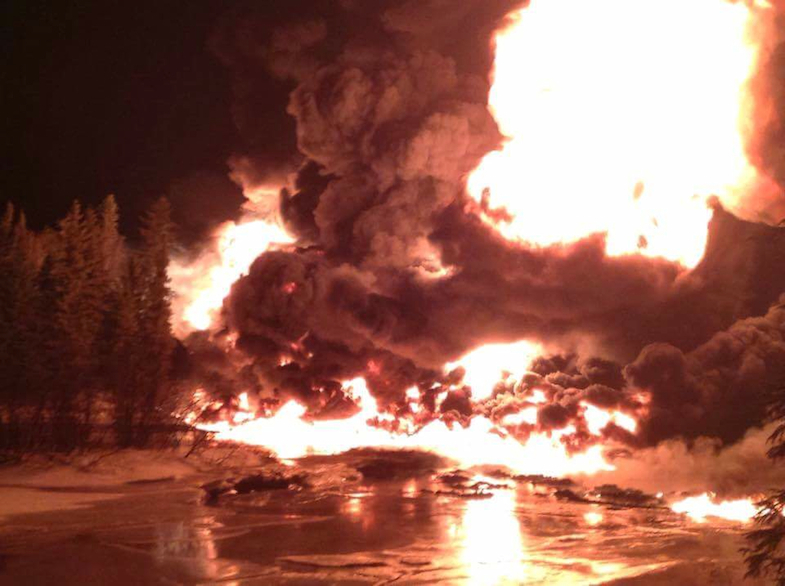 In December 2009, propane, benzene and plastic pellets were spilled near Spy Hill, Saskatchewan, igniting and burning 34 rail cars for 6 days. 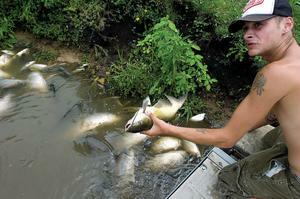 About 60,000 gallons of ethanol spilled into the Rock and Kishwaukee rivers in Cherry Valley, Illinois, in June 2009, resulting in the single-largest not-natural fish kill in the history of Illinois. 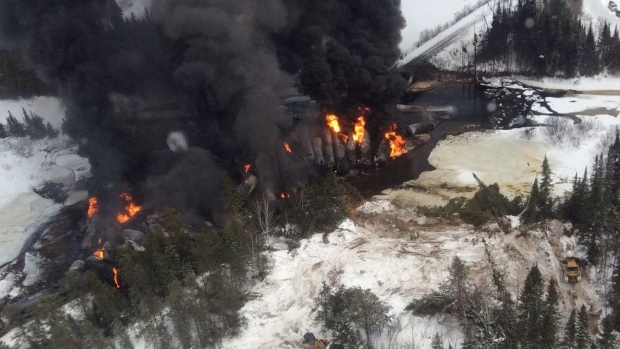 The same spill and massive explosion of ethanol, resulted in the courts awarding US$36 million to plaintiffs in a negligence lawsuit against CN for loss of life, injury and associated damages. 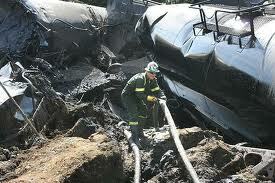 In June 2006, 233,000 litres of hydrocarbons spilled, 70% of which ended up in the Riviere du Loup, Quebec. 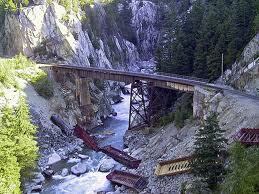 About 40,000 litres of caustic soda spilled into the Cheakamus River, British Columbia, in August 2005, decimating all of the fish – over 500,000 – in the area. Also in August 2005, 1.3 million litres of heavy bunker C fuel oil and 700,000 litres of pole treating oil spilled into Wabamun Lake, Alberta, killing hundreds of birds, fish and other wildlife. 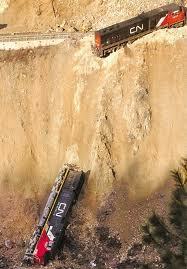 CN was fined $1.4 million for breaching both federal and Alberta environmental protection legislation. 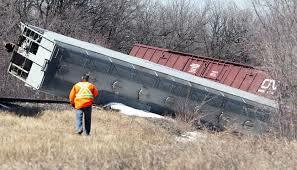 In May 2002, dangerous goods spilled and burned for 2.5 days near Firdale, Manitoba. 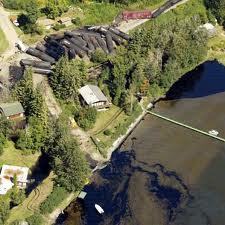 Most of 100,000 litres of spilled methanol flowed into the Shebandowan River, Ontario in December 2000. 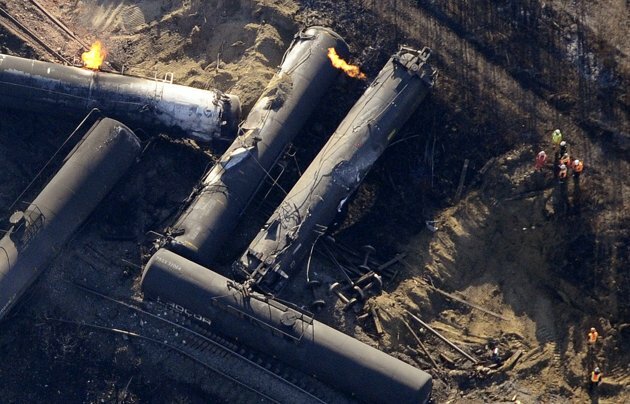 About 2.7 million litres of hydrocarbons spilled and caught fire near Mont-Saint-Hilaire, Quebec in December 1999, burning rail cars for more than 4 days. 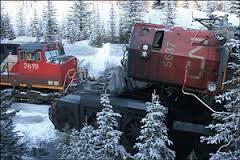 About 12,000 litres of diesel fuel spilled into the Rouge River, Quebec, in May 1997. 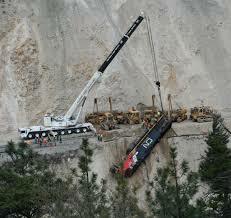 In January 1995, 230,000 litres of sulphuric acid spilled and settled on the bottom of Petit lac Masketsi, Quebec. 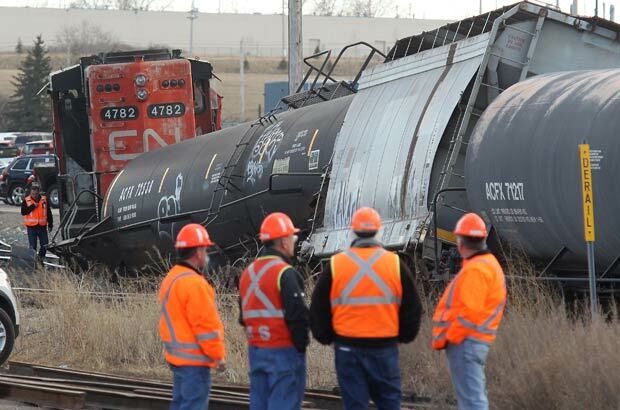 Many CN derailments, spills and other accidents have involved breaches of federal rail safety and environmental legislation, provincial environmental protection legislation, Canadian Rail Operating Rules, and CN’s own safety and environmental policies. 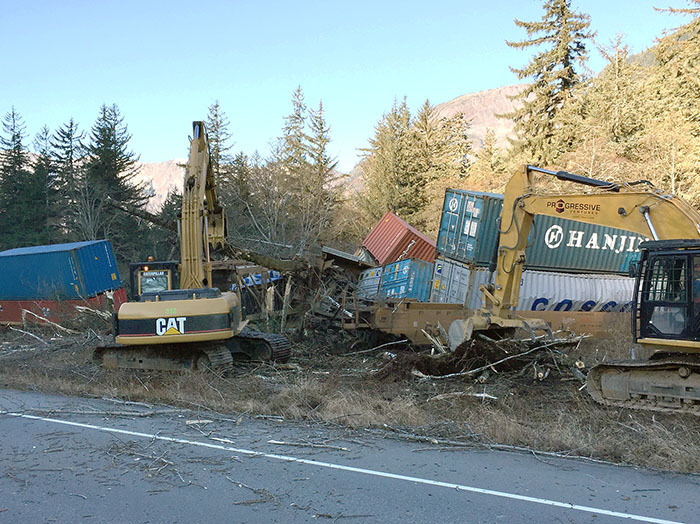 The TSB and others have warned CN and Transport Canada many times about maintaining adequate rail safety measures and improving them in a number of areas. 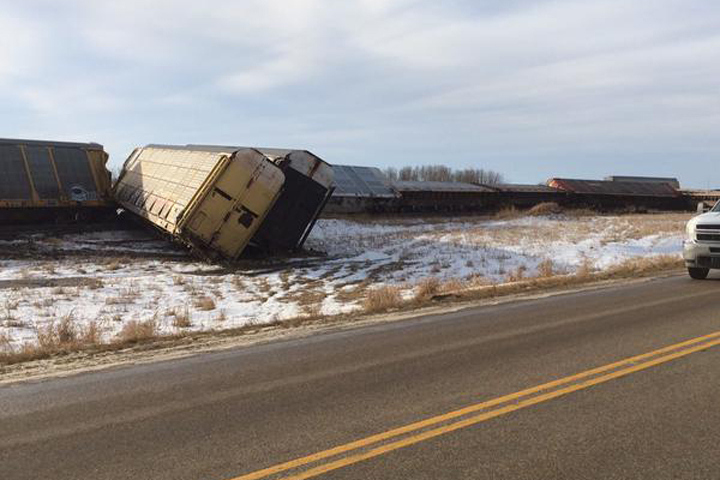 The TSB has made many recommendations to improve rail safety, as part of their accident investigations and reporting, but unfortunately many of these recommendations have not been implemented. 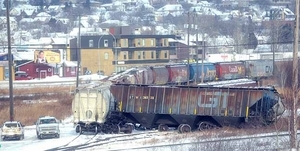 In February 2012, Emile Therien, past Canada Safety Council President, said Transport Canada has relinquished its regulatory control to individual rail companies, making it more perilous to ride the rails. He said it’s time for rail companies to stop monitoring themselves and for the federal government to step up to its on-the-track oversight responsibilities. 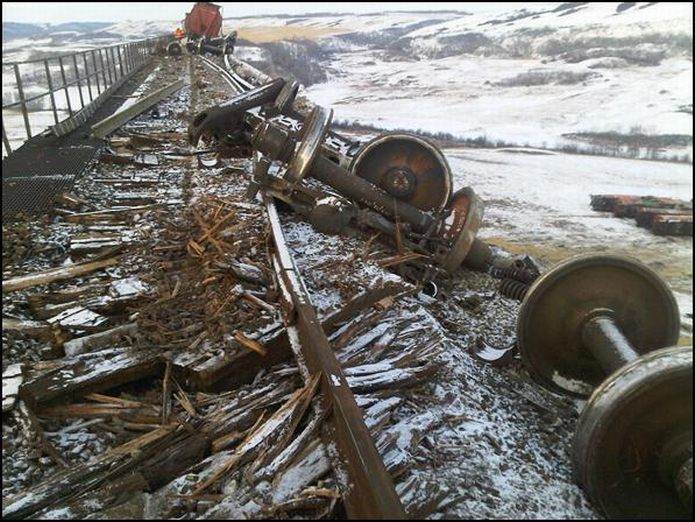 In March 2012, the TSB said Canadians have reason to fear rail safety because the rail industry and Transport Canada refuse to recognize the necessity of maintaining and in many cases improving rail safety measures. 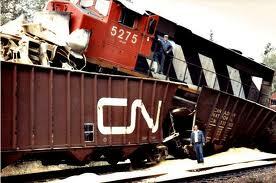 In 2009, the TSB warned, “that tens of thousands of faulty railway cars may be in operation, hauling dangerous goods across Canada”. 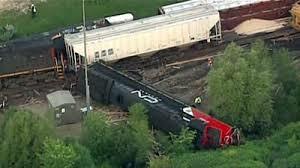 In May 2008, the Standing Committee on Transport, Infrastructure and Communities reported that on a scale of 1 to 5, with 5 being the optimal level, CN was at level 1 or 2, CP at 3 and Via Rail at 4 in terms of progress to properly implement Safety Management Systems. CN employees who appeared in front of the Standing Committee said they were reluctant to report safety violations, for fear of reprisals from the company, and stated they were working within a “culture of fear”. 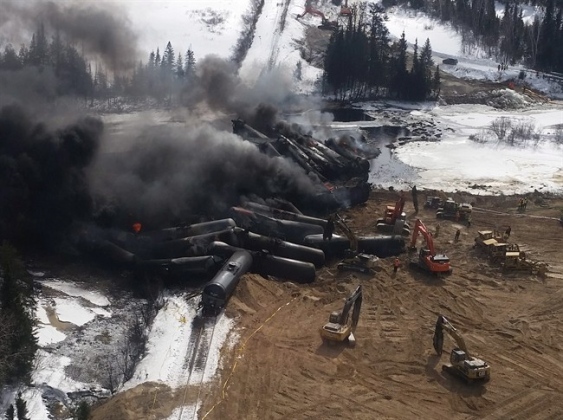 Hopefully, CN Railway Derailments, Other Accidents and Incidents will shed some light on the poor safety record of Canada’s largest railway, and raise questions about the wisdom of transporting more crude oil and other dangerous/hazardous goods by rail. 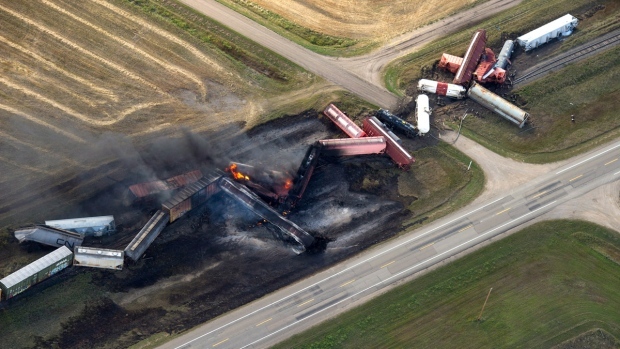 The paper also provides a few examples of CN-caused wildfires, breaches of legislation in the building and operation of rail yards, under-reporting train blockage statistics at public railroad crossings, and establishment of “Quiet Zones” to mitigate unreasonable whistle blowing by CN at public crossings. 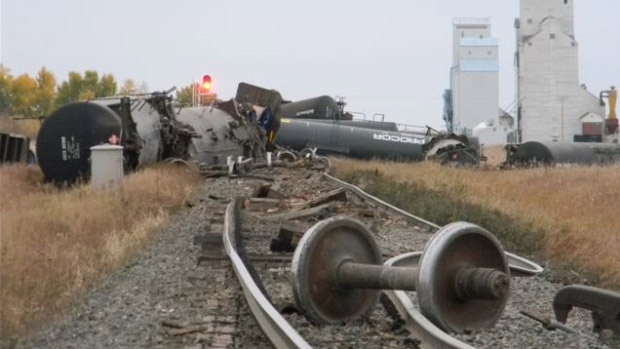 For more details on CN derailments, in general, see this link; and for more information on the many risks associated with transporting crude oil by rail, see this link.